Travelling in the South Island of New Zealand? A trip to Milford Sound is a must-see location while you're here. Only a few hours drive from Queenstown, Milford Sound is an estuary in the south west of the South Island, New Zealand — within Fiorland National Park and the Te Wahipounamu World Heritage site. The famous Rudyard Kipling once called this paradise the "Eighth Wonder of the World," and it's easy to see why! 1. Embark on a Milford Sound cruise - Milford Sound has deep icy waters, pure rock surfaces, glacial hanging valleys, native forest, and local wildlife. Join Mitre Peak Cruises to discover the beauty of Milford Sound. 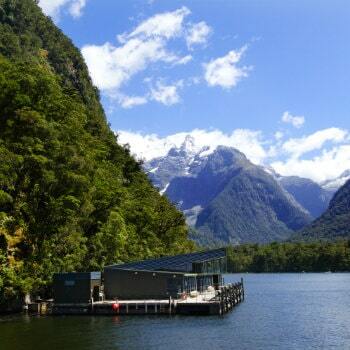 The cruise is about 2 hours around the breathtaking Milford Sound on boats with a capacity of 75 persons. Mitre Peak Cruises will take you to corners where the big boats don't have access to. You'll be closer to wildlife, waterfalls and astonishing views of Milford Sound. Mitre Peak Cruises offers tours to the most untouched parts of this World Heritage Area. 2. Visit the Underwater Observatory - Want to experience a unique view of the thrilling underwater environment without getting wet? Then visit the floating underwater observatory in the Fiordland Region and get a view of the spectacular marine life of Milford Sound. The Observatory is located in Harrison Cove beneath Pembroke Glacier, amongst the towering mountains of Fiorland National Park. You'll be given the chance to see awesome views underwater as you descend about 10.4 meters into a large and fully air-conditioned undersea chamber. Milford Sound contains incredible marine life and the underwater observatory is the best way to see these wonderful creations. You'll be able to witness the vibrant life of the underwater community, which has beautiful corals, anemones, sponges, and different fish species, in their undisturbed habitat. 3. Sail Milford Sound the old-fashioned way - The iconic Milford Sound is a magical place to sail around. It is also the perfect way to explore and to soak in the beauty of surrounding landscapes. There are plenty of boats and sailing tours in Milford Sound which offer a range of other sailing activities such as diving, discovering native marine wildlife, scuba and fishing. Offering smaller boats modeled on traditional sailing vessels, choose the Nature Cruise if you want to experience Milford Sound to the fullest. 4. See the spectacular Lady Bowen Falls - If you are looking for a truly breathtaking walk, look no further than the iconic Lady Bowen Falls in Milford Sound. Deemed as the tallest and most powerful waterfall in Milford Sound, Bowen Falls is well worth a visit. Clocking in at a whooping 162 metres high, you can take short ferry trip and then walk to the stunning waterfall. 5. Join the Milford Track for a nature walk - Named as the "finest walk in the world," make sure to wear your hiking boots and get awed by the majestic fiords of Milford Sound by embarking on the world-famous Milford Track Guided Walk. 6. 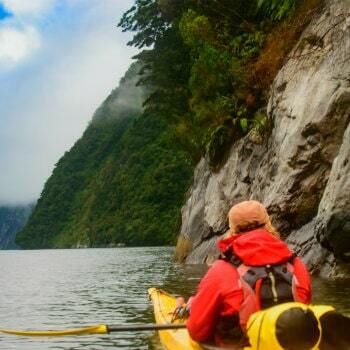 Go kayaking in Milford Sound - Kayaking in New Zealand is definitely a once in a lifetime adventure and there's no better place to do it than in Milford Sound. Attractions in Milford Sound include kayaking trips that can bring you closer to nature and wildlife. The Rosco's Milford Kayak trips offer plenty of different guided sea kayaking adventures, including a variety of fine trips fit for the first-time paddler through to the seasoned kayaker. Each adventure showcases Milford Sound in its own distinctive kiwi way. 7. Have an epic overnight cruise - For an immersive Milford Sound experience, head out overnight with Milford Wanderer Overnight Cruise before travelling to Queenstown the following. Witness the natural beauty of none other than Milford. You'll wander around the fiord in the late afternoon and venture out in kayaks or small crafts and in the morning, wake up to the loveliness of the fiord. A cruise around Milford Sound is an experience you shouldn't miss. Do you know that you can download this map directly to your phone? Press the box symbol located on the top-right corner of this map to open in your Google Maps app. Now you can easily access this map on your next road trip adventure from Queenstown to Milford Sound.